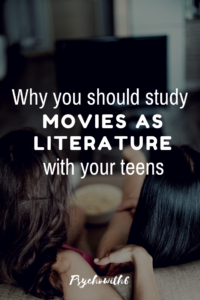 I believe you should study movies as literature with your teens! 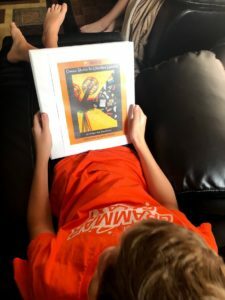 Here are six reasons why and then I share my review of Cinema Studies, the best way to study movies as literature with your kids. #1 Movies really are literature. At one time, novels weren’t considered worthwhile for instruction. Imagine! Now we know that reading novels improves vocabulary, comprehension, spelling, and writing. Today there is a continuing stigma that movies can’t add to our children’s education. Movies are what our children should watch in their free time, right? Wrong! Movies, like plays, are based on written scripts or books. Because they are literary, movies can be used to teach concepts like character development, plot, setting, and much more. #2 Movies are taught as literature in the public schools. 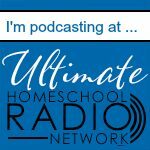 Many homeschool parents I talk with are afraid that watching movies isn’t worthy of high school credit. I assure you: The study of movies is credit-worthy. My son took this course as a public high school junior. Because he was taking a number of AP (read time-consuming) courses, his guidance counselor recommended that he take an easier class like a movies as literature course to complete his schedule. Movies as literature courses count as English elective credits and are an excellent addition to a college-prep transcript. #3 Movies create great opportunities for discussion. Kids are used to talking about the movies they see. If you have a teen who isn’t a talker, discussing a movie is a great way to understand your teen’s views on life. 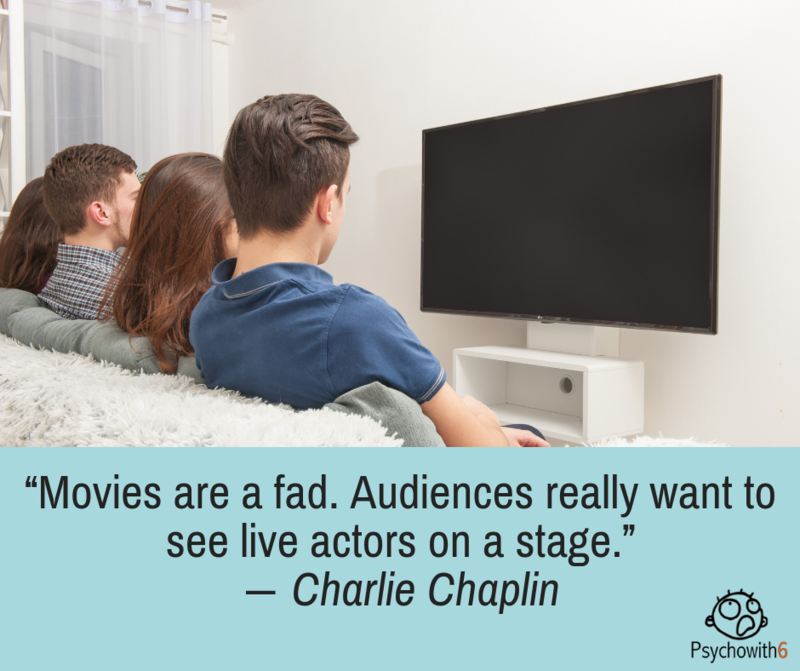 Movies can expand your teen’s understanding of others’ motivation and can be used to teach social skills. Teens are more likely to talk about movies than other topics because there are few wrong answers–just opinions. #4 Movies provide excellent writing prompts. A movies as literature study provides interesting and personal writing subjects. Writing prompts are rarely dry and students with multiple learning styles can recall and respond to the movies they’ve seen in writing. #5 Movies are fun for kids to watch. Even though your kids are learning, they think of watching movies as inherently fun. You’ll get less procrastination and pushback on watching a movie for homework than nearly any other assignment you might give. Movies mimic the more entertaining lessons of childhood and can be enhanced with great snacks! #6 Movies are a fun family and friend activity. Parents of teens rarely do math with them just for the fun of it. But a movies as literature course can get parents involved in the learning process. Some movies have mature themes and aren’t appropriate for younger kids (or you may want to save the films for when they’re older). 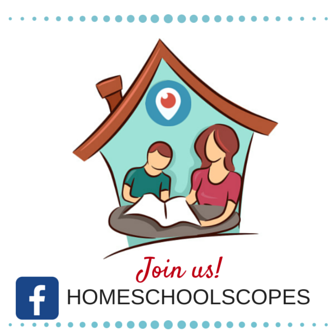 But the teens and adults in your house can enjoy time together while still putting in homeschool hours. A study of movies as literature is also a lot of fun in a group setting. 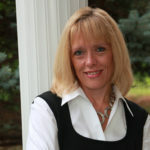 It’s the perfect class for co-ops and learning centers. 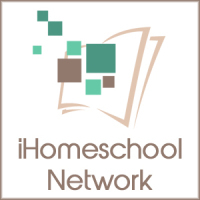 Your teen will enjoy discussing the movies watched with their homeschool friends. It includes some more recent films teens enjoy. Studying movies as literature doesn’t mean that the films have to be painful to watch because they’ve become culturally irrelevant. 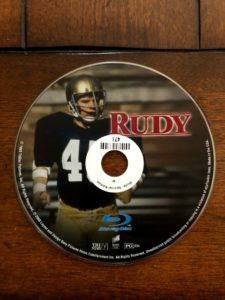 While Cinema Studies includes classics like Casablanca, it also features Rudy — a personal favorite! The movies are easy to find, unlike the previous curriculum I used. It doesn’t require you to stop the film over and over again to answer trivial questions. If your teen watches the movie (especially with the questions at hand), answering questions correctly should be no problem. Your student may need to watch the movie a second time (as recommended) to write the paper. In our co-op, we discuss the movie one week and review papers the next, so students may forget specific examples to use in their writing. Writing assignments are short and engaging. Writing a long paper on every movie is way more work than students in traditional schools are required to do. Tedious writing assignments can kill interest students have in studying movies. Students always have a personal response option for their papers, which they love. Cinema Studies is digital and economical for more than one student. I am able to make copies of the materials for all three of my kids using Cinema Studies. The answers are in the teacher’s guide. I have been loving watching the movies with my kids and my husband has joined in too. BUT if I wasn’t able to watch the movie for some reason, the discussion question answers are right there for me. Be sure to check out Cinema Studies and get ready to teach movies as literature in your homeschool! What is a favorite movie you would love to study with your teens?